I almost expected something special tuning in today to see Carlos Correa and the Houston Astros take on the Yankees in the Bronx on a cold weather sunny day, but Masahiro Tanaka seemed like he had his A-game early and the Yankees were staked to a 2-0 lead on a double by Starlin Castro. 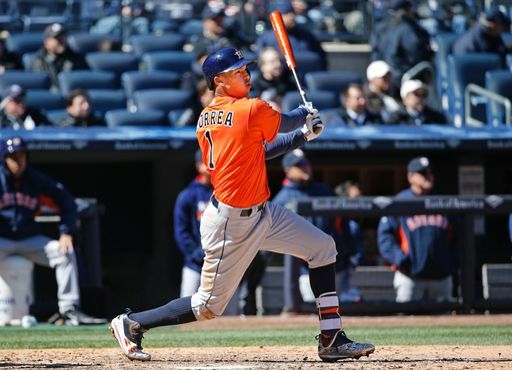 With this, he became the youngest Astro to homer on opening day, and with his 23rd career regular season home run, he tied George Springer for the Astros franchise record of most home runs within his first 100 career games played. Correa also stole TWO bags today on the day, and added another RBI groundout. The Astros would rally for the win for Dallas Keuchel, and newly named closer Luke Gregerson nailed down his first save without threat. All was right with the world on Opening Day for the highly-touted Astros.